How Much to Spend on Commercial HVAC Installation? Getting a new commercial HVAC system installed at your place of work can make a difference. You need such a system to help your business handle the intense conditions of the seasons. Even so, you must know what it will cost to get an HVAC system installed. The expenses associated with getting a new HVAC system installed will vary by each location. You could spend thousands of dollars on getting one ready and with maintaining it for years to come. The size of your commercial property is clearly the most significant point to review when figuring out the cost of getting an HVAC system installed. The number of square feet in your property should be reviewed to see just how strong a system should be. This is to prepare a system that runs efficiently. Space should also be reviewed based on factors like how much sunlight can get into certain spots and if air might be at risk of moving into certain spots in your business. These areas might have different HVAC needs, what with natural sunlight directly influencing the conditions in some areas. Space should also be measured based on how long the ducts for your system must go to reach certain spaces. You must spend more money if you have ducts that will go throughout the entire length of your business site. What Are Your BTU Needs? The British Thermal Unit or BTU, measurement for your HVAC system is critical. You should check on not only the space inside your property but also the risk of air from your system being lost as it moves outside. This could be lost due to doors opening and closing on a regular basis among other factors. You can use this to measure how much warm or cool air should be produced. The system will cost more if you need for BTUs added. You need about one ton of power for every 600 square feet of space in your business site. One ton is equal to about 12,000 BTU. This equation can help you figure out how many tons your HVAC system must be based on your size. 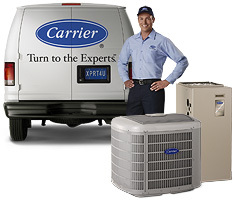 Be sure when choosing your HVAC system that you take regular repair and service into account. Look at how your system should be fixed based on cleaning or with replacing cooling or heating agents if any problems occur. Regular service is needed to help you get the most out of your system. You must also look at your system based on how powerful it is. A stronger system typically must be maintained and fixed more often. This can be a real hassle if it is not treated properly enough. Check carefully on how your commercial HVAC system is to be made so you’ll have a clear idea of what to expect out of your system as it is made ready.